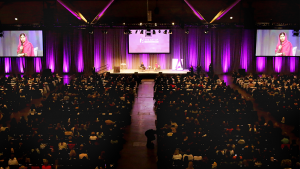 Held in Vancouver, BC on October 23, 2018, The Art of Leadership for Women conference was yet another fantastic reminder that leadership is an affair of the heart (Kouzes & Posner, 2012). Messages of life-long learning, value creation and self-awareness echoed throughout the event with this incredible line-up of speakers: Whitney Johnson, Jacqueline Carter, Morten Hansen, Ram Charan and Alan Mulally. 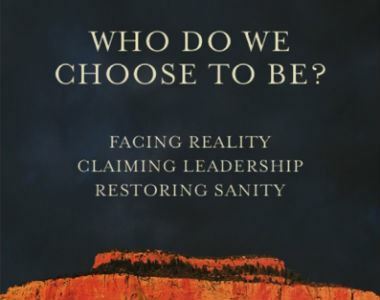 As leading practitioners and thinkers, each shared unique experiences and insights contributing to our understanding of what constitutes leadership, organizational development and change. At the risk of oversimplifying the many golden nuggets I’ve taken away from this conference, the following are four key common factors I have gleaned from the speakers. Leadership starts with mindfully leading self. From exploring how we spend our time to what we stress about, the speakers remind us that in order to effectively lead others, we must first mindfully learn to lead ourselves. We must consistently commit to setting time aside for self-reflection. What is most important to me? What are my priorities? What am I doing that takes me closer to my top three goals and vision? Conversely, what am I doing that takes time away from my priorities (i.e., am I spreading myself too thin?)? Be present by practicing mindfulness and focusing on your priorities. Leadership, as Jacqueline Carter reminds us, starts with the mind. Just as importantly as ‘knowing thyself’ is the significance of identifying what is important to your organization and its members. What kind of skillsets, expertise, knowledge is needed within your organization? Who in your organization can offer these skills and support? If none, Whitney Johnson urges us to hire for potential, Morten Hansen says to hire for purpose and keep it front of mind every day, and Ram Charan stresses the value of recruiting people better than you. Leadership is everybody’s business (Kouzes & Posner, 2012). Connect with and build trust with those within and external to your industry. See the world from different angles and perspectives – this helps you build capability and capacity (Charan, 2018). Doing so could help you better support your organization and those around you. …and learn to prioritize them! Engage in tasks that take you closer to your goals and are aligned with shared values. This could mean helping staff members grow with stretch assignments (Johnson, 2018); being mindful, selfless (other-oriented) and compassionate (Carter, 2018); focusing on Passion (what you love) and Purpose (what contributes) (Hansen, 2018); and finally, as mentioned above, actively building and doubling your capacity and capabilities every three years (Charan, 2018). Alan Mulally ties this all together by sharing how his journey was shaped by life principles he learned growing up. These are principles, practices, processes and behaviours that are important to him and that for which he has zero-tolerance for violation. There’s nothing more powerful to encourage others in their quest for self-awareness and being true to their personal and organizational values than for us to prioritize and model it first. We have all heard of the old adage, “Change is the only constant”. To change and adapt is to learn a new way of being. Change is not easy and thus not always well-received. We can fight it but there will be repercussions; it could impact our organizational system in one way or another. Johnson (2018) asserts that everyone is on a learning curve (re: S-curve); an organization is a collection of learning curves. Knowing the potential negative outcomes of not willing to change, we must make it scarier not to change. And Carter (2018) reminds us, the creativity and innovation that come from quiet self-reflection often spark the magic of deeper learning and understanding. Creativity happens when the mind wanders but we must be in the present moment to make the most of it. Further, continually ask, “What’s new?” as you connect with your networks (Charan, 2018). This will not only help you build capacity but also your capability as you learn to become exceptional in the focused tasks you do to have superior execution (Hansen, 2018). Finally, learn everything you can about something or someone – be prepared to serve and give people value (Mullaly, 2018). When we model what it means to prioritize our goals and values, when we engage and support others in co-learning, we create a culture of self-awareness, vulnerability and learning. It is in this learning environment that not only do we grow individually and as a team, but also organizationally as we collaboratively expand its capacity to create our shared future. Kouzes, J., & Posner, B. (2012). The leadership challenge: How to make extraordinary things happen in organizations (5th ed). San Francisco, CA: Jossey-Bass. Roundtables provide an opportunity for groups of OD practitioners to come together around a topic of interest to discuss and learn from each other. Roundtables are not intended to replace other professional development workshops hosted by BCODN or other member offerings. The focus is on peer-to-peer learning and as such, any presentation made must not be longer than 20 minutes in length and the remaining time is participants working/learning together in facilitated discussion. This will depend on the facilitator topic and availability of the participants. This may be a regular meeting or a one-time peer learning event. Internal/external consultants, Facilitators, Community managers, Leaders and Managers – all who are called to facilitate community building, learning, meetings, communication, groups, and change. We’re looking for facilitators for roundtables starting in March and April and our Professional Development team can provide logistical support. If interested, please submit a roundtable proposal form to the team at info@bcodn.org. Hurry, the deadline to submit a proposal for a roundtable is February 15 and there are limited spots available for roundtable leaders! The OD network annual conference had its first ever Social Impact day (SID), a pre-conference event that brought together and created value for OD consultants and Not for Profits (NFPs). I had the privilege of being an advisor on the pro bono team to develop and organize SID. It was a rewarding experience as the impact of OD was fully felt by all participants and continues to ripple through the community. As I reflect on the process of planning SID and how the day emerged, the value of embracing collaboration and emergence stands out. 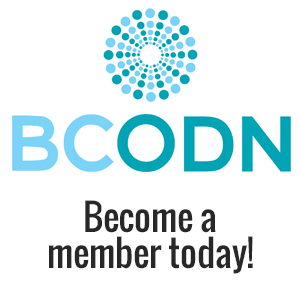 The spirit of collaboration started in the pre-feasibility phase as Cindy Miller (OD board member) reached out to Faye White (President of BCODN) for information regarding the building community organizations (BCO), a core program of BCODN. Faye shared the BCO process and materials with Cindy. The OD network pro bono team was able to refer to these materials as well as draw on the skills and experiences of the team to develop SID. Prior to SID most of the volunteers, consultants, and Non-profits had never met. 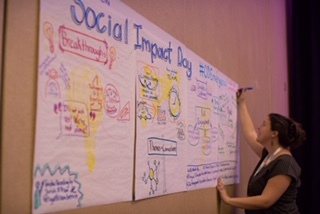 For Social Impact day they converged, collaborated, embraced the emergent challenges and opportunities, and created value for one another; a value that continues to ripple through the community. The event brought together and created value for 48 OD member consultants. They were able to gain experience, increase their network, have access to mentors, and apply their skills with NFPs. The nine NFPs brought forth their challenges, collaborated on emergent issues with consultants, and left with recommendations generated from the day. 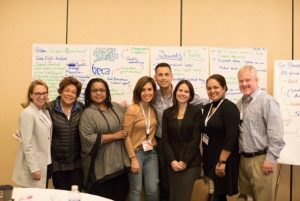 The Mentors were able to network and give back to social good, and the OD network fulfilled its strategic goal of increasing the value and awareness of OD. The pro bono team continues to receive positive feedback from SID and plans to build on the impact and momentum created. The NFPs expressed Social Impact Day exceeded expectations, as one NFP, Aubrey Farrar of Flight C.L.U.B. said, “We accomplished more in one day than we would have in six months.” The Pro bono planning team consisted of Kim Stevens, Team Lead and Team Members: Kim Braidwood, Lee Burroughs, Kim Dixon, Erin Garland, Cindy Miller, Zach Sumner and Christine Thomas. The inspiration for SID was to fulfill part of OD Network’s 5-year strategic plan that includes the aspiration: “The OD Network impacts the world by sponsoring pro-bono activities that provide OD practitioners to those who might otherwise be unable to access our skills and abilities.” The OD network pro bono team plan to build on Social Impact Day and carry the learning, energy, and value forward to next year’s conference as well as to the various OD chapters. To learn more, please visit www.odnetwork.org. 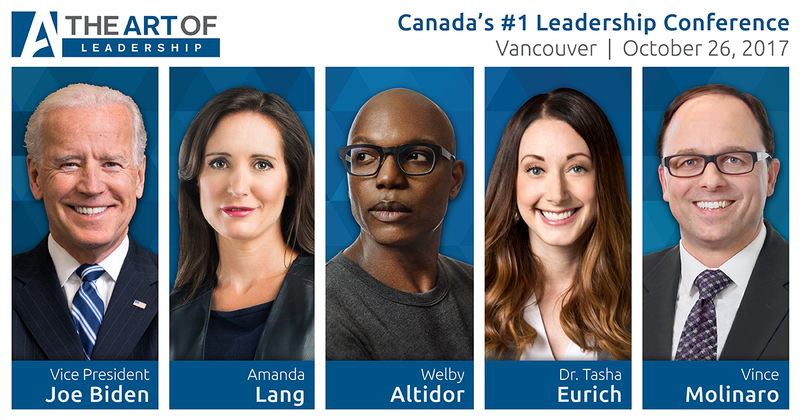 The Art of Leadership descended on Vancouver on October 26, 2017. Five thought and leadership practitioners shared their views and perspectives on leadership. I came away with three key concepts. One – leaders need to be fully committed to the rigors and responsibilities of leadership. Through his research and study on effective leaders, Vince Molinaro highlighted this point with the question: “Are you all in as a leader?” His query reflected his observation that many leaders become leaders by way of their technical knowledge and experience (engineer, doctor) or by way of their seniority (tenure). The need to be fully committed was argued further by Vice President (VP) Joe Biden. He referred to his possible run for the presidency of the United States in 2016. VP Biden believed he needed to be fully committed to taking on the office of the President. Due to the death of his son in 2016, he didn’t feel prepared to do so. He added that the capacity to decline the role of leadership requires courage. This leads us to the second of the three leadership observations: leaders need to be courageous. The underlying concept was the need for leaders to have the courage and conviction to do the right thing for their teams and their organization for the long term. Courageous leaders recognize that their choices are likely to be unpopular over the short term. Dr. Tasha Eurich, an organizational psychologist, added to this concept of courage by suggesting that leaders need to have the courage to routinely seek constructive criticism. By seeking these critical/disparate viewpoints, a courageous leader is better able to improve their practice of being a committed and courageous leader. Finally, the one common leadership element that appeared to be shared amongst the speakers of the day was this: leader’s care. All the speakers referred to this notion of a caring leader in their own way. It was speaker Welby Altidor, however, who provided an apt analogy of what it means and looks like to be a caring leader. According to Welby, leadership is akin to being a master gardener. A master gardener cultivates his crop with attention, care, devotion, and patience with the ultimate hope that it will flourish, grow and produce. Similarly, a committed, courageous and caring leader can enable his or her team or organization to grow, flourish and produce. If a leader is seeking to masterfully tend to their team of followers, he or she needs an assembly of skills and tools. The speakers at the Art of Leadership believed that leadership skills could be learned and developed. Having heard from each speaker, I believe they were espousing the need for leaders to be committed, courageous and above all caring. Our current civilization is in decline and that it is not possible to fix large systems in society. We instead, must watch them fall and start anew. It’s a tough idea, particularly for those who have committed their lives or built their careers on being fixers. It also begs the question, what do we do? Meg suggests that instead of trying to fix large-scale problems, we look to the local and community levels and create “islands of sanity” with the understanding that these sane, productive, and proactive solutions will likely indeed remain at the local level. It is an interesting concept for all of us involved in change and organizational development to consider and perhaps try to change our expectations as well as the expectations of our colleagues and clients. Even at this small scale, true leadership in these times is challenging. Meg offered the group ideas and more thought-provoking questions about how we wish to lead in these troubled times. It is through these questions that we may come to know and share our true leadership. Can you always sit up straight and sit in your dignity? Can you use the power of silence in times of difficulty? What is the difference between hope and aspiration? What am I faithful to? What is my most basic belief? What do I want to keep paying attention to? As for the chocolate chip cookie, this was my big takeaway from the weekend. Yes, a chocolate cookie. Like an organization is made up of different ingredients. Once those ingredients come together to form the cookie, they are no longer in their original state but have taken on this new form – the cookie. You need all these particular ingredients to form the cookie, and without one, you will get something different. At the same time, if the cookie fails, there is no way to extract the original ingredients out and restore them to their original form. The flour is forever changed. And thus, if the cookie fails, you must throw out the batch and start fresh. Sarah Muff is a creative engagement practitioner. Her current project focuses on engagement in labour relations with the Association of Administrative and Professional Staff at UBC.